Affordability of treatment is a significant problem in Egypt, so in order to address this in 2007 Roche introduced Pegferon, a second brand of its hepatitis treatment, Pegasys. This is the same medicine as the first brand, but is packaged locally in vial form. This allows Roche to sell the medicine at a lower price to the Government and as a result has increased access to treatment all over the country. Roche completes this offer with products for diagnosis and treatment monitoring, helping to maximise medical service and patient benefit. Egypt has one of the highest burdens of Hepatitis C virus (HCV) infection in the world, with a 10% prevalence of chronic HCV infection among persons aged 15–59 years. Improving Access to Hepatitis Treatment is a program by Roche, in partnership with Egypt Ministry health. The program aims to increase the access to Hepatitis C treatment and products for diagnosis and monitoring in Egypt. In 2007 Roche started working with the Egyptian government to establish a national project for treating chronic Hepatitis C. Part of the project included packaging Pegasys locally in a different form (vial vs. a pre-filled syringe) and under a different trade name (Pegferon vs. Pegasys). This allowed for the introduction of differential pricing within Egypt, with Pegferon available at a significantly reduced price to the government, compared to the form sold in the private sector under the Pegasys brand. In addition, Roche partnered with a local manufacturer in Egypt to package and distribute the pegferon. This involved sharing manufacturing and supply chain management practices, thereby building local capabilities and expertise and generating local employment. Roche also offers products for diagnosis and treatment monitoring along with awareness programs, helping to maximise medical service and patient benefit. Since the project’s inception, more than 160,000 patients have been treated with Pegferon who otherwise may not have received treatment. Additionally, this helped strengthen Roche’s relationship with the Ministry of Health, and with both public and medical societies. As a research-focused healthcare company, Roche discovers, develops and provides innovative diagnostic and therapeutic products and services that deliver significant benefits to patients and healthcare professionals – from early detection and prevention of diseases to diagnosis, treatment and treatment monitoring. Headquartered in Basel, Switzerland, Roche is a leader in research-focused healthcare with combined strengths in pharmaceuticals and diagnostics. Roche is the world’s largest biotech company, with truly differentiated medicines in oncology, immunology, infectious diseases, ophthalmology and neuroscience. Roche is also the world leader in in vitro diagnostics and tissue-based cancer diagnostics, and a frontrunner in diabetes management. Roche’s personalised healthcare strategy aims at providing medicines and diagnostics that enable tangible improvements in the health, quality of life and survival of patients. Founded in 1896, Roche has been making important contributions to global health for more than a century. Twenty-four medicines developed by Roche are included in the World Health Organisation Model Lists of Essential Medicines, among them life-saving antibiotics, antimalarials and chemotherapy. Geographically, the company has operations in various countries across North America, Latin America, Europe Asia, Africa, Australia and Oceania. In 2013 the Roche Group employed over 85,000 people worldwide, invested 8.7 billion Swiss francs in R&D and posted sales of 46.8 billion Swiss francs. Genentech, in the United States, is a wholly owned member of the Roche Group. Roche is the majority shareholder in Chugai Pharmaceutical, Japan. Care for liver patients and their families tangibly and cooperatively. Free medications, examinations and assays liver patients according to their need. Raising awareness of the widespread liver diseases by symposia and lectures. The special and consulting doctors can send patients who need special help to the residence of the association. Specialized workshops for doctors to raise their efficiency. Poverty and financial instability, as well as inadequate educational and healthcare resources, the renaissance of the Egyptian Liver Research Institute And Hospital " ELRIAH " has emerged to be number one in the Arabic Area. The hospital is located in Sherbin near Mansoura, 150 km northeast of Cairo in AlDakhalia governorate. ELRIAH is now open to offer leading edge multidisciplinary care including latest diagnostic and treatment therapies with access to clinical research trials for patients with liver diseases and is committed to the advancement of medical knowledge and our community's health. The Association of liver Patients Care (ALPC) is a founding member of the European Liver Patients Association (ELPA) with extensive experience and expertise in working with European patient and professionals'. ALPC is also a founding member of World Hepatitis Alliance (WHA). 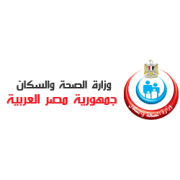 The Ministry of Health is the ministry in charge of health in Egypt. Its headquarters is in Cairo. Health and population policy fee in accordance with the policy of the state. Work on the recording of health data and perform statistical and economic studies to be analyzing this data and extract information for crisis planning and follow-up. Provide centralized health services, including central laboratories for drug affairs, registration, training of personnel. Effective management during health crises. Services, health centers and population management.